"Adjust your mindset in terms of distance"
"Don't think Canada in terms of size"
Ongoing reminder from our tour guide and an ongoing process of adjustment for us. After all you can put Israel on the same sheet of paper as the whole Okanagan or all of British Columbia or even all of Canada. It is a matter of scale. So what did I learn as I adjusted to issues of scale. 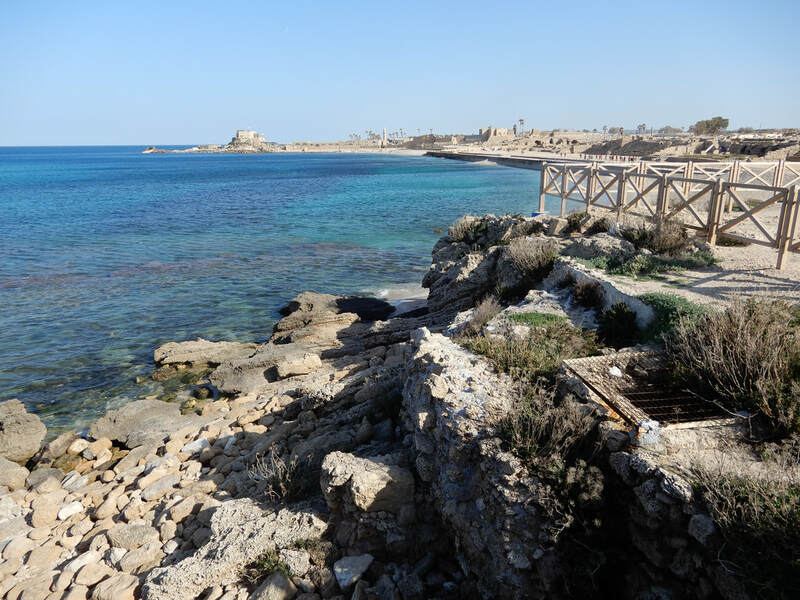 Part of the adjustment of scale included an understanding of the area of Jesus ministry. I did not realize that Jesus spent the majority of his ministry time within a small triangle at the northern end of the Sea of Galilee. 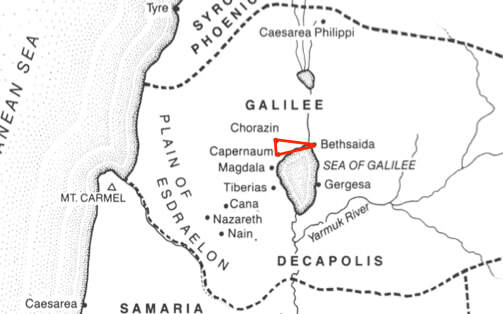 The triangle is formed by three cities: Korazin, Bethsaida and Capernaum. 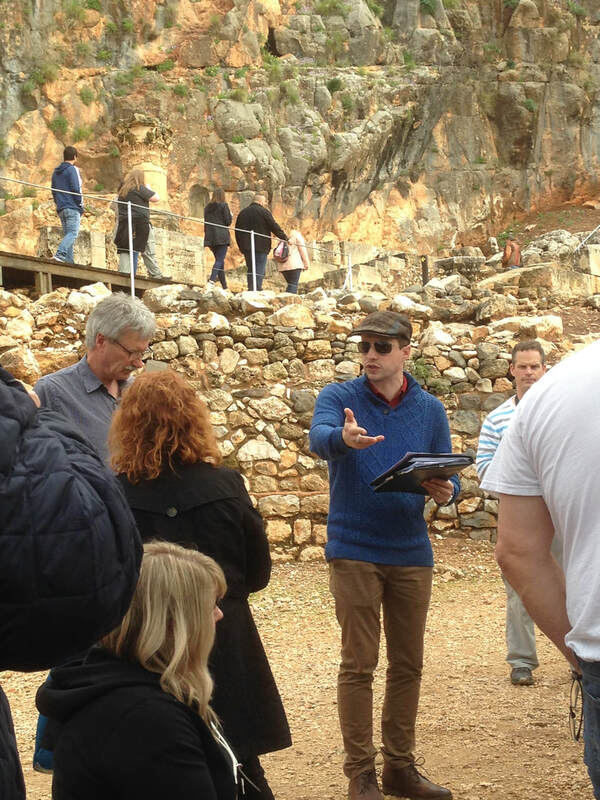 Biblical scholar Daniel W. Casey (1) suggests that the total ministry time here was as high 80%. 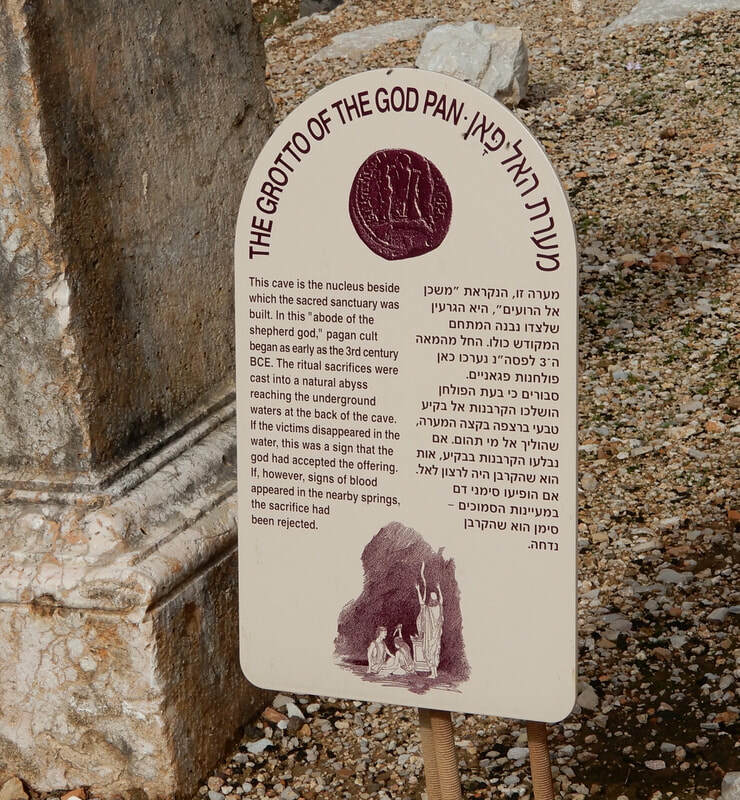 All 12 of his disciples, with the possible exception of Judas were from the Galilee area. 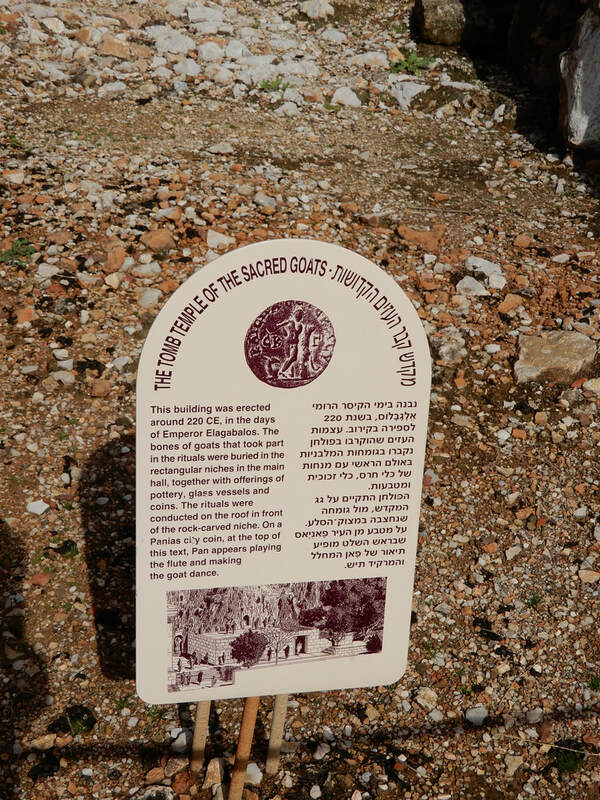 This verifies the label given to the disciples in Acts 1:11 and 2:7, as "men of Galilee" or "Galileans". 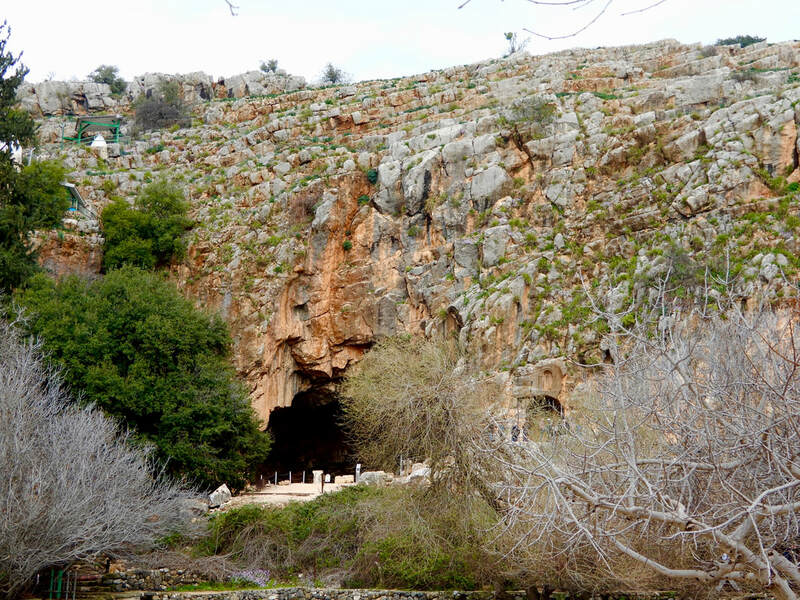 The Nelson Illustrated Bible Dictionary estimates that 18/33 of the recorded miracles were performed in this small area and 25/33 in the general Galilee area. 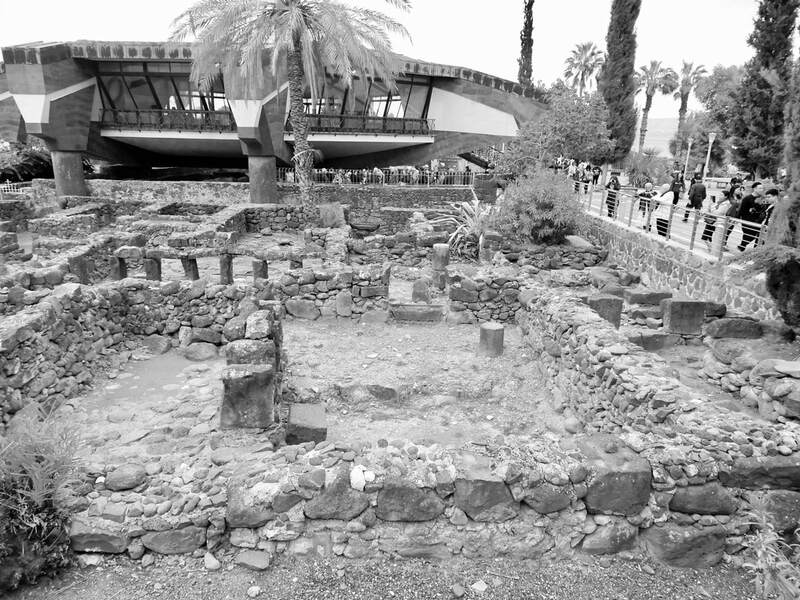 Jesus made his home in Capernaum, probably in the home of Peter. 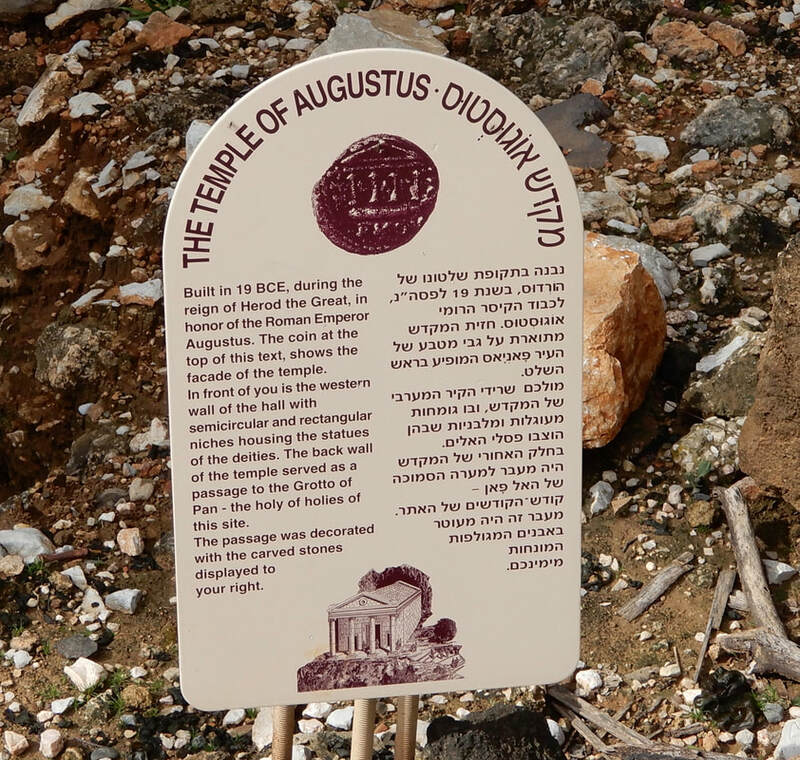 What struck me is the believed proximity of Peter's house to the synagogue. 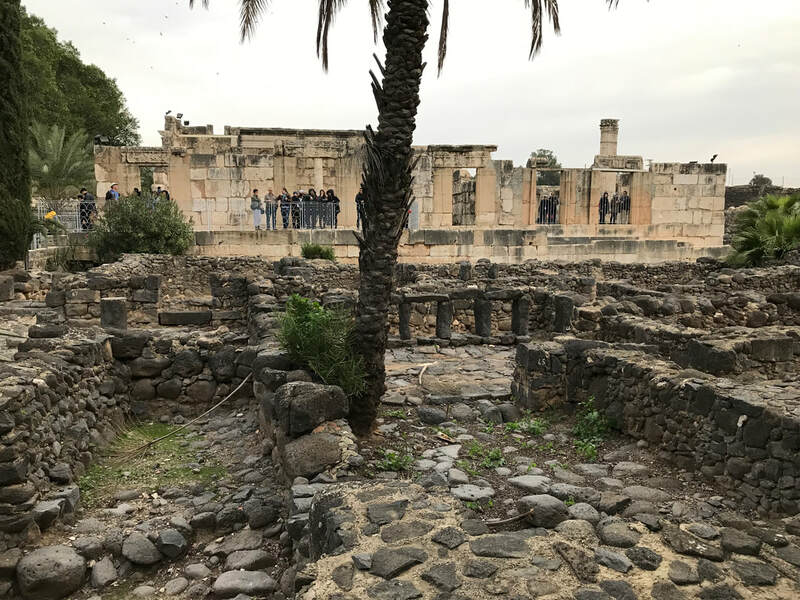 Even if it is not as believed, things would not have been far apart since Capernaum is thought to have only 1500 people at the time of Jesus. The house is close to the water which makes sense for a fisherman. 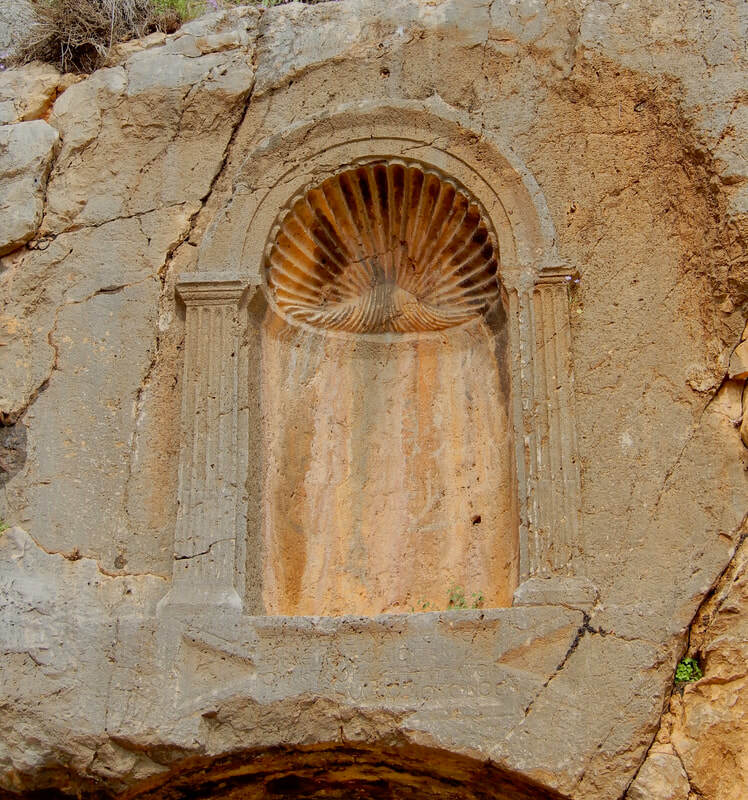 As everywhere, people build on the ruins of the past. 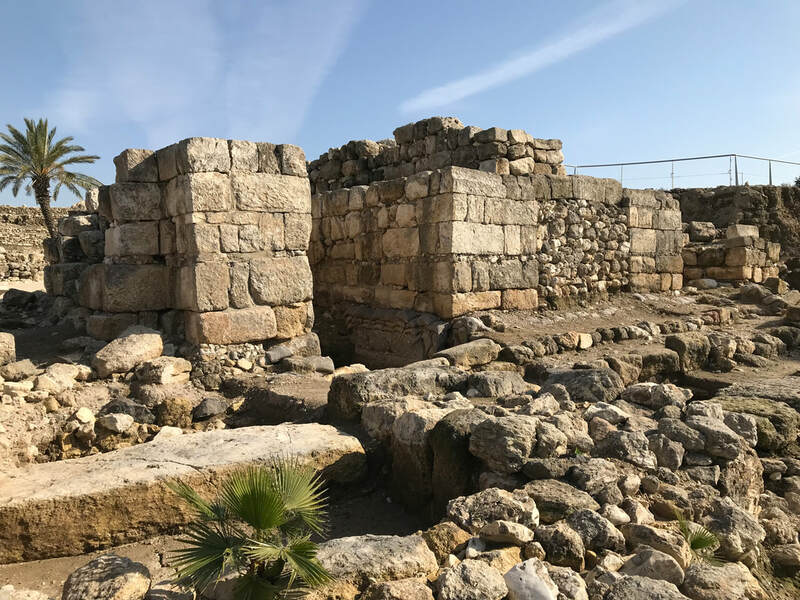 The synagogue, whose ruins are from the 4th century, is believed to have been built on the ruins of the synagogue present at the time of Jesus. 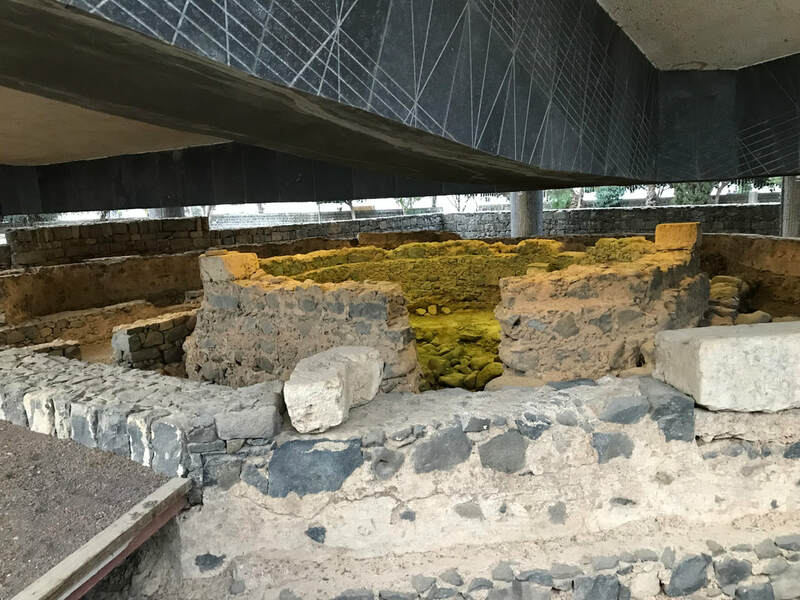 A 5th century AD church was built over what the Christians at that time understood to be St. Peter's house. Today a modern church stands on top of it but built in such a way that a part of the original building can be seen. 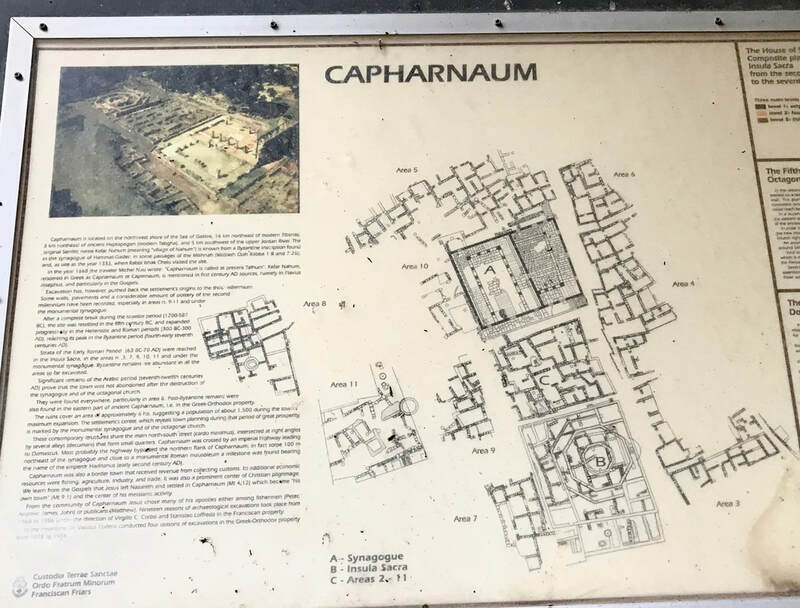 Layout of Capernaum at the time of Jesus. View from the synagogue looking over to supposed location of Peter's house. 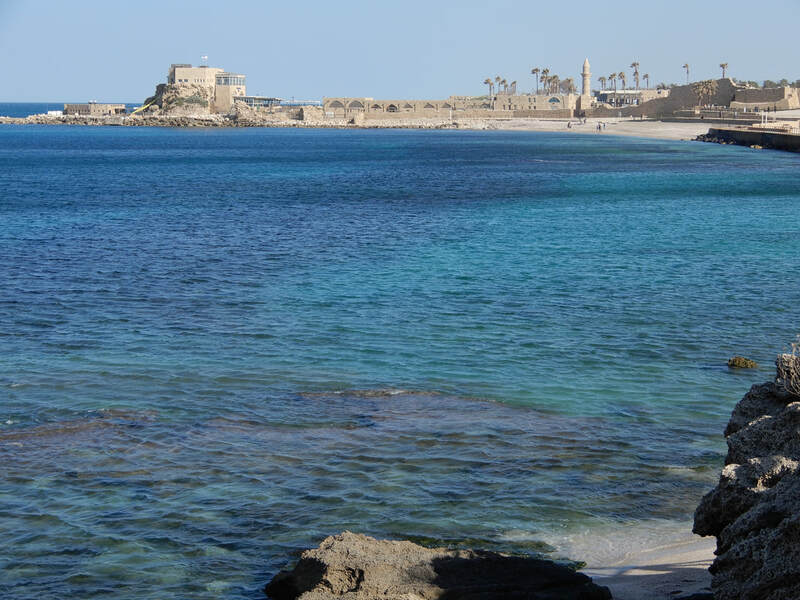 The synagogue in the background. 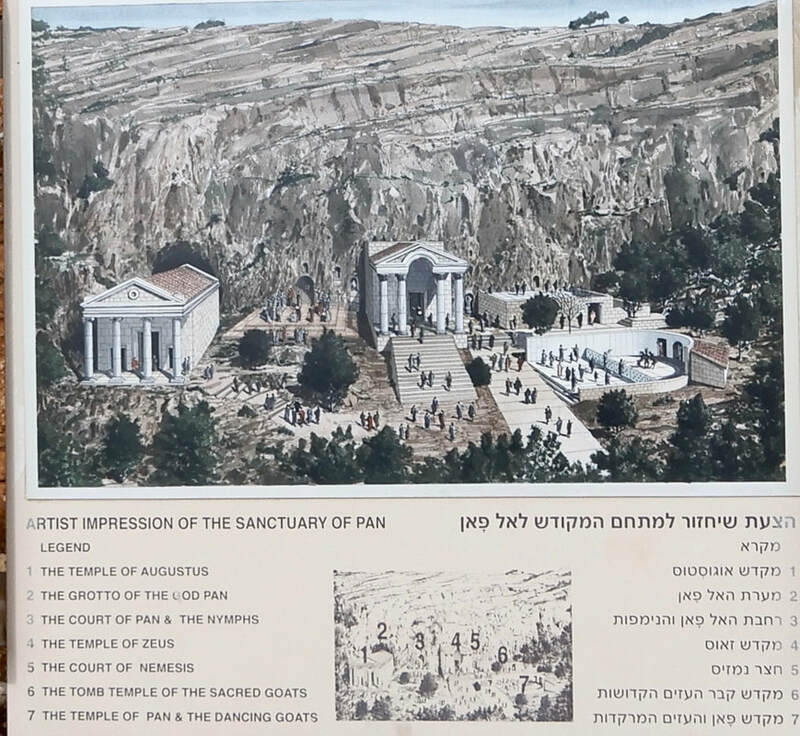 Picture taken from the supposed location of Peter's house shows foundations of buildings that would have been between synagogue and house. 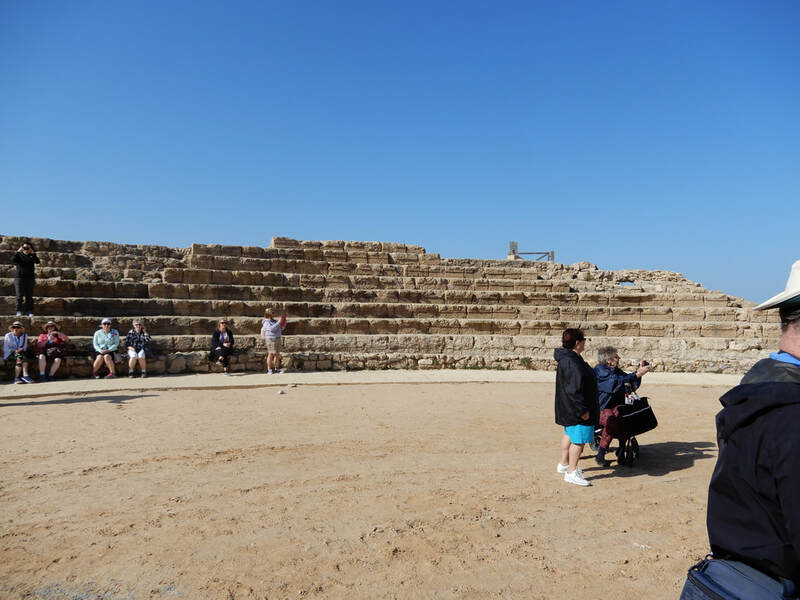 And he went down to Capernaum, a city of Galilee. And he was teaching them on the Sabbath, and they were astonished at his teaching, for his word possessed authority. And in the synagogue there was a man who had the spirit of an unclean demon, and he cried out with a loud voice, 3“Ha! What have you to do with us, Jesus of Nazareth? Have you come to destroy us? 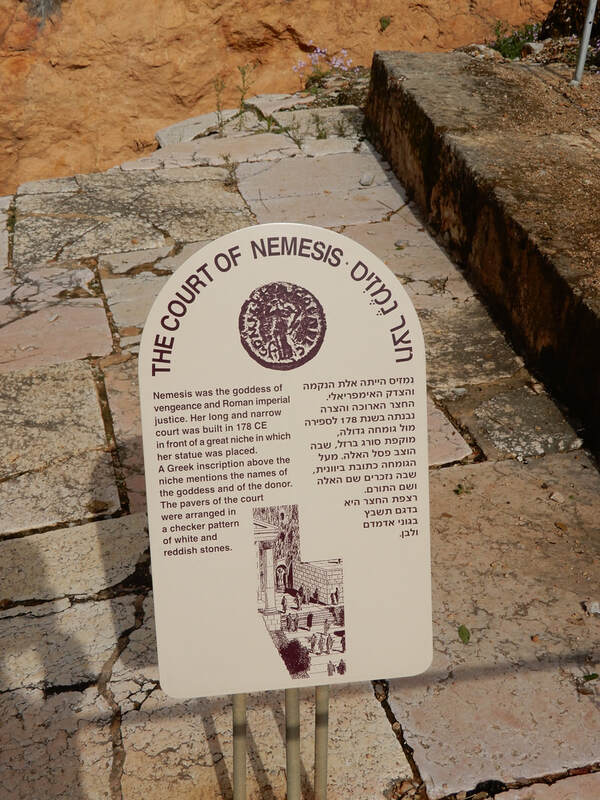 I know who you are—the Holy One of God.” But Jesus rebuked him, saying, “Be silent and come out of him!” And when the demon had thrown him down in their midst, he came out of him, having done him no harm. And they were all amazed and said to one another, “What is this word? 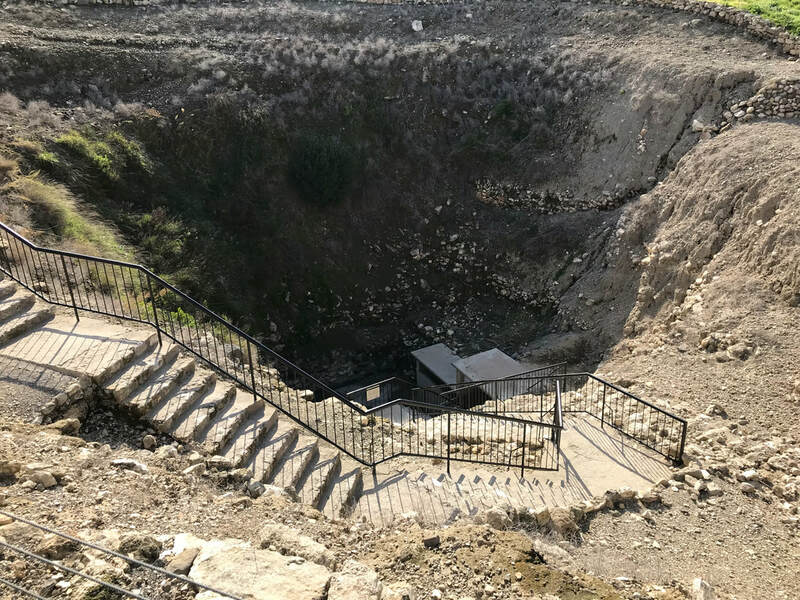 For with authority and power he commands the unclean spirits, and they come out!” And reports about him went out into every place in the surrounding region. The more I study this, I begin to see Jesus's strategic plan. 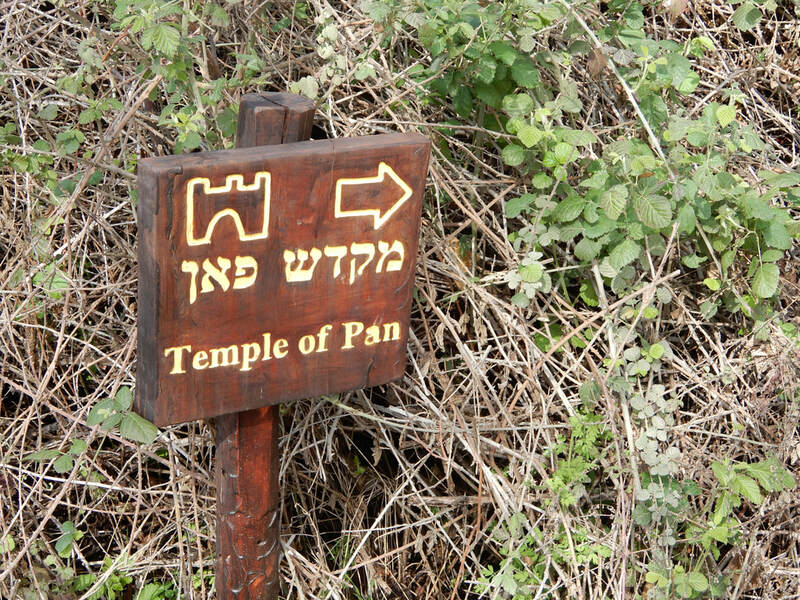 For three years, he will be the Rabbi (teacher) for twelve men he has chosen. 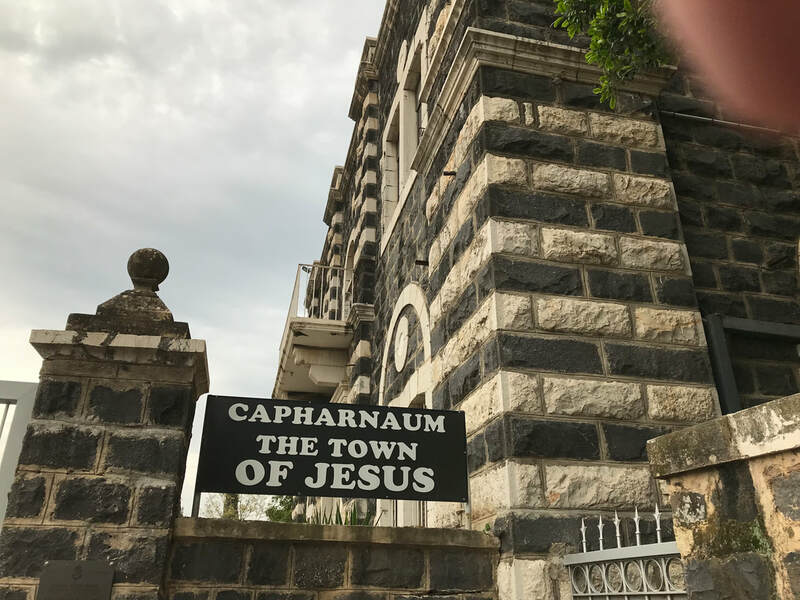 He will live among the people in a small geographical area and call one place—Capernaum—his home. Certainly at the end of Christ's life it seemed that little had been accomplished. The cities he focussed on rejected him. One of the twelve betrayed him and the other eleven did not stand with him in his hour of greatest need and trial. 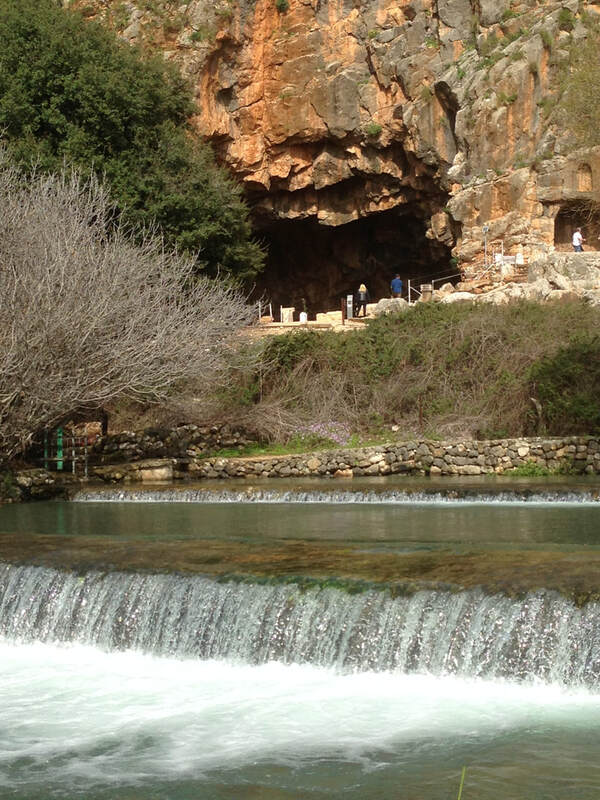 Of course the resurrection was a great victory but only a few seemed to have believed. 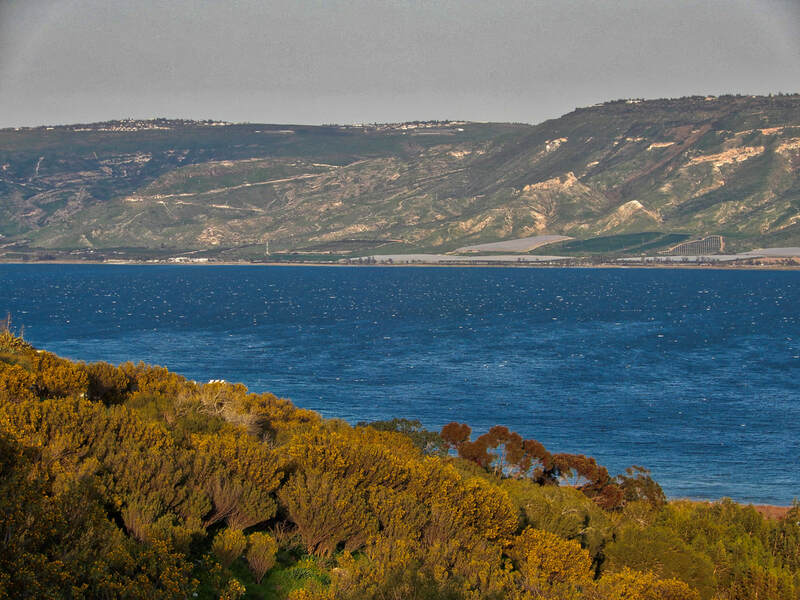 Yet it was to explode with the dramatic addition of 3000 when the disciple were empowered with the Holy Spirit..
View of the Sea of Galilee. All days were cloudy and rainy. 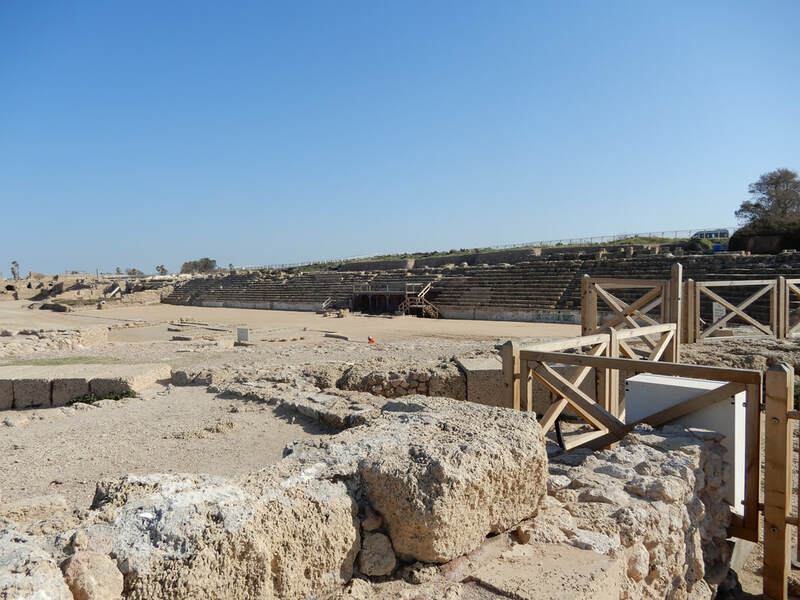 Even after seeing all these miracles, the citizens of these cities rejected the Son of God. 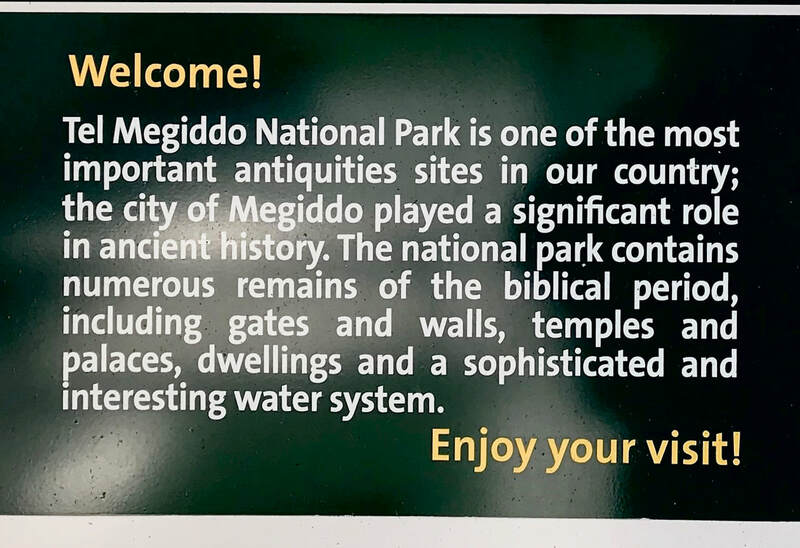 I find that amazing but obviously had not read passages such as Matthew 11:20-24 and Luke 10:13-14 with the kind of understanding resulting from 'being on location'. 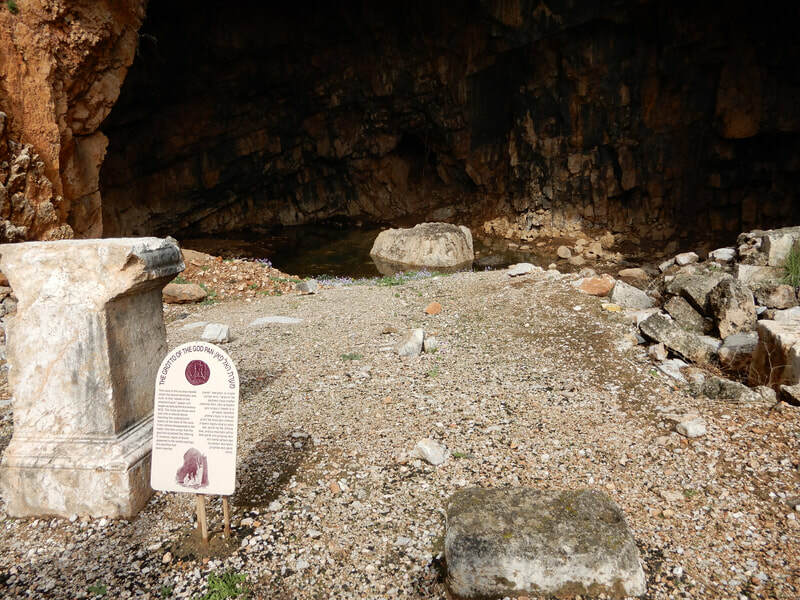 My mindset—where Jesus was present and did great miracles, people believed. But NOT SO! In fact the rejection was so strong that Christ denounced them and warned that judgement on the rest paragons of wickedness—Tyre, Sidon, Sodom—would be more "bearable" at the Great Day than for them. This rejection puts contemporary rejection around us into perspective. Although we need to witness with wisdom, creativity, passion, clarity and integrity, we also need to realize that at some point, certain people, in their blindness and sinfulness, will reject the truths of Christ, no matter what. We need to feel no more guilt than Christ did at that point. On the other hand, we need to feel the weight of responsibility concerning what we are given. I echo George Robinson's observation. It is a stunning warning to any who have seen first hand the goodness of the Lord and grown numb to it (He. 6:1-6). (3). It should be an arresting thought to covenant children who have never known a day that they were not aware of the manifold grace of God in Christ (Lk. 13:34, 35). And it should be a halting consideration to all ministers of the Gospel who can grow cold in their handling of holy things (Ja. 3:1). Sometimes I have longed for a more wide reaching ministry than what I was given. But over the years God has quietly and repeatedly reminded me that I am to be faithful where he sends me and leave the rest up to him. I thank God for social media and other encounters that give me enough of a glimpse of what God is doing with what I gave him to be at peace. And I thank God for the present ministry which allows me to 'go deep' with a few key individuals and churches in Canada and Eurasia​. From a Canadian perspective Israel is .7 of Vancouver island! 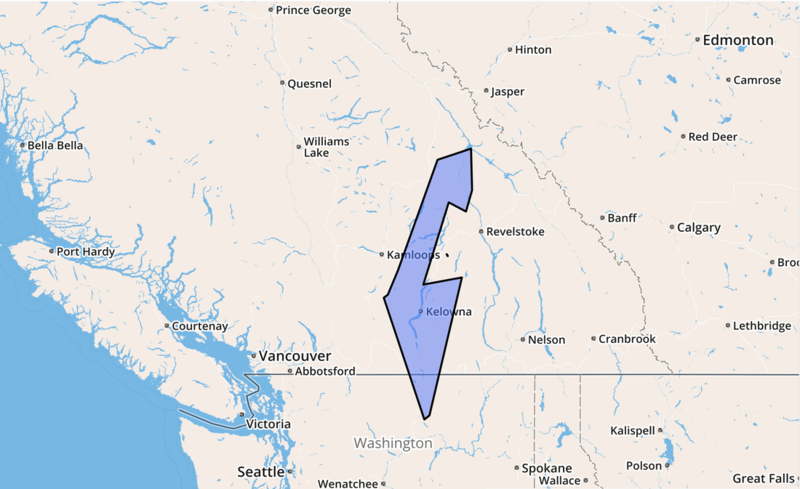 Or the graphic shows the size of Israel in relation to Kelowna and the Okanagan Valley. Population is 8.8 million which is roughly the combined population of Toronto and Montreal. 21% of the population is Arab (1.7 million). Interesting, but the vertical span more relevant. 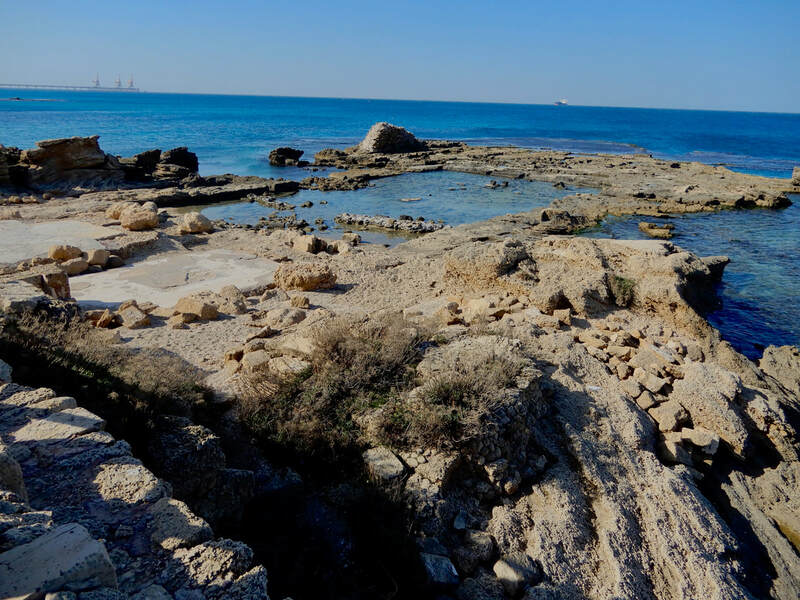 The Dead Sea is 378 metres below sea level which for those gathering trivia knowledge tidbits this is 128 metres lower than the maximum depth that submarines operate at. 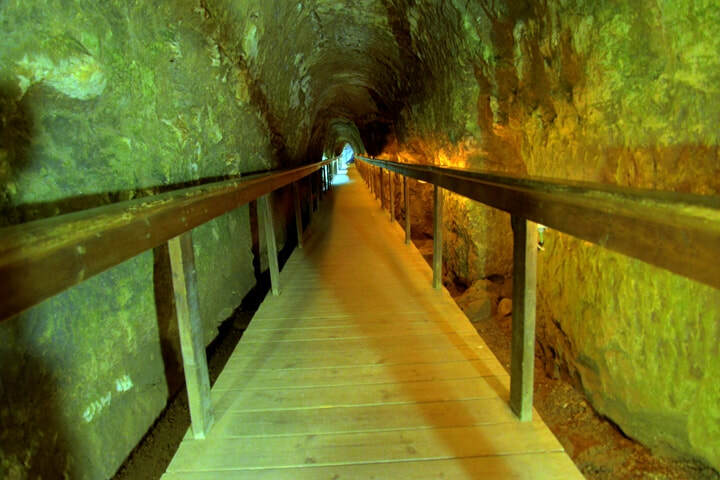 So as you join others by the Dead Sea you are together with the lowest humans in the world. 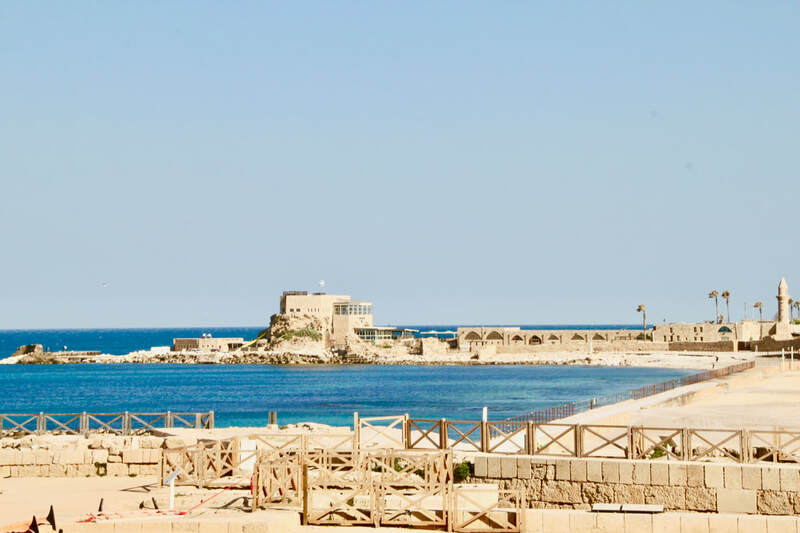 Jerusalem is 754 metres above sea which makes for a difference of 1132 metres or 3714 feet! 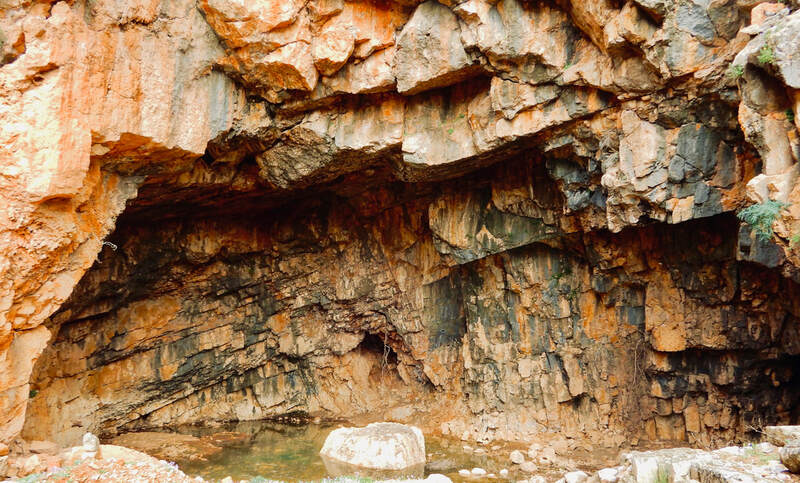 Now Jericho is 250 metres below sea level which means that when Jesus went up to Jerusalem (assuming he took the Jericho route), he would have climbed approximately 1000 metres (3280 feet). That, together with all the other travelling we did, has given me a new appreciation for all the walking that Jesus did. Some suggest that Jesus walked 3,125 miles (5,029 km) during his ministry and a total of 21,525 Miles (34,640 km) in his life. That is almost the distance around the world at the equator. I take these figures with a grain of salt but they do underscore the fact that Jesus walked a lot. 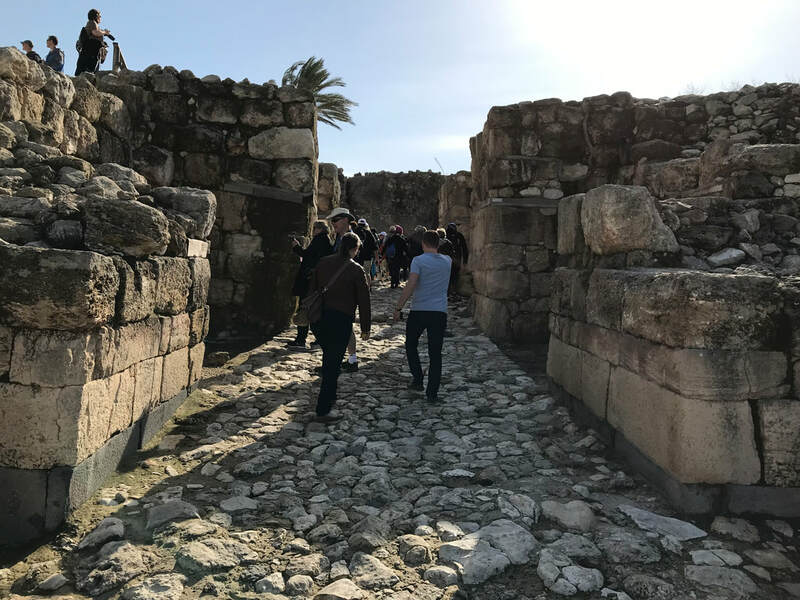 When the bus when up to Jerusalem from Jericho - climbing, climbing, climbing - the simple phrase "up to Jerusalem" took on new meaning. The phrase occurs a number of times in relation to Christ and approximately 25 times in the Scripture. During my time as conductor of the Ambassador Choir, one of our programs was based on the Psalms of Assent (Ps 120-134). 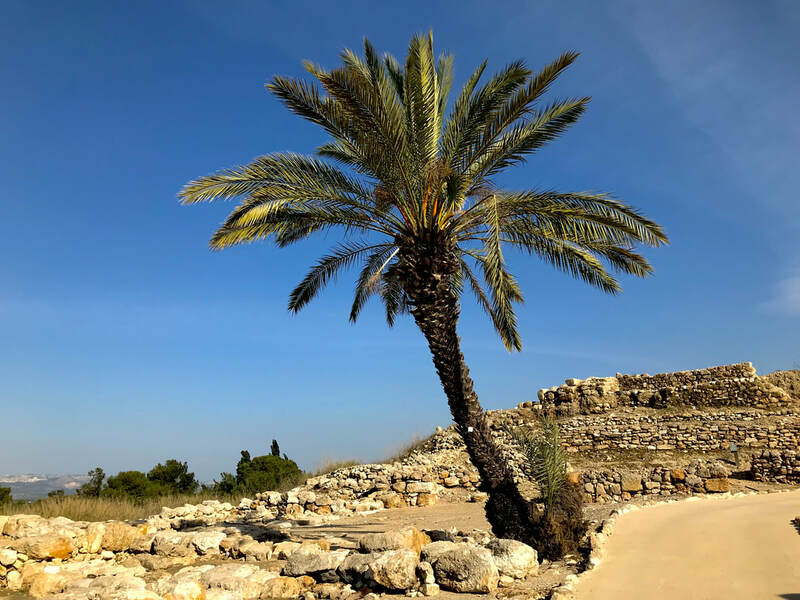 Many believe these psalms were sung as the Israel people went up to Jerusalem for the feasts three times a year.. Quite the journey and the road must have gotten crowded the closer you got to Jerusalem. You might say it was the first century version of the hundreds to tour buses that are seen in Jerusalem during the tourist season. 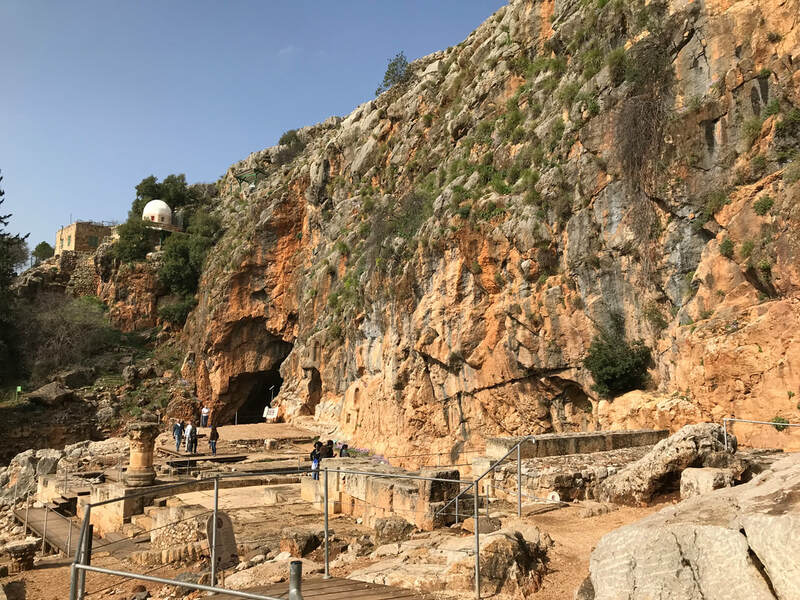 We read these psalms, sung portions of them, recited them but now they have new meaning to me - especially the following verses In my mind I can see and hear the pilgrims encouraging one another on the steep climb. In my imagination I see Jesus among them, as a young boy, then as a man on his final ascent to face death for us.